Peppa Pig is Celebrating Summer with Exclusive Digital Episodes! If you have a young child at home you are probably familiar with Peppa Pig. My 5 year old daughter LOVES Peppa and her brother George. We just cannot get enough. This week iTunes will have exclusive Peppa Pig episodes!! No one else will have these. My daughter and I have already watched three of them and can’t wait to see more. These episodes are the same high quality content as seen on network television. But only available on iTunes. Are you wondering if there is a theme to these episodes? Well, the answer is YES! They are all summer themed! 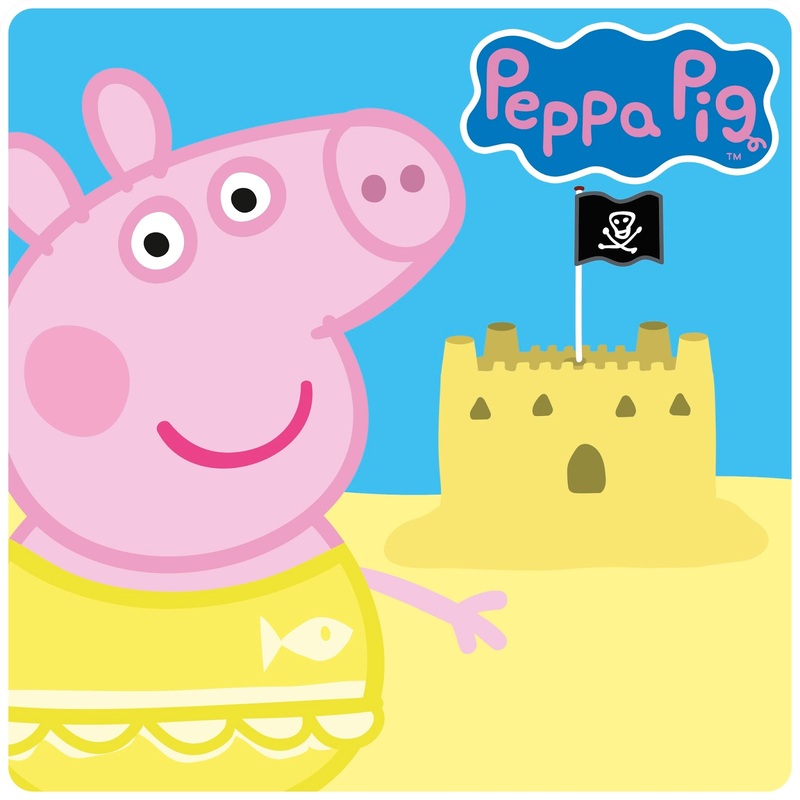 Peppa Pig: Sandcastles is full of stories about Peppa and her family’s summer adventures. There are a total of 12 episodes in this collection. The Peppasoides come grouped in blocks of 4 and are available to download on iTunes. You will not find these anywhere else. And now for the best part……….I’m giving away to one LUCKY reader the complete set of Peppa Pig: Sandcastles! That’s right, one reader will be sent a digital copy of all 12 Peppasoides. So enter below for your chance to win! Disclosure (in accordance with the FTC’s 16 CFR, Part 255: “Guides Concerning the Use of Endorsements and Testimonials in Advertising”): Many thanks to Entertainment One Film U.S. for providing this prize for the giveaway. Choice of winners and opinions are 100% my own and NOT influenced by monetary compensation. I did receive a sample of the product in exchange for this review and post.